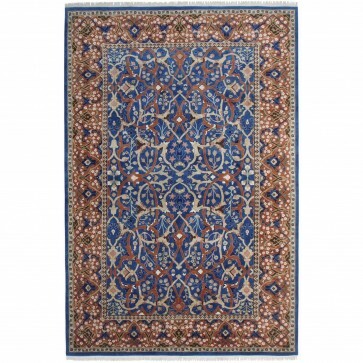 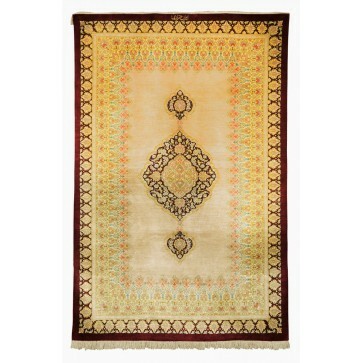 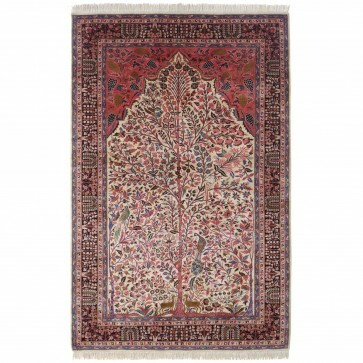 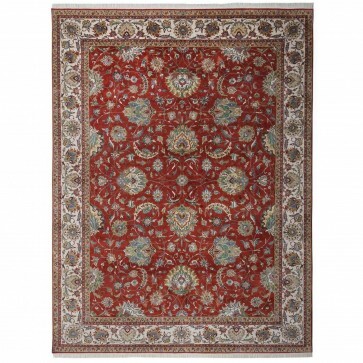 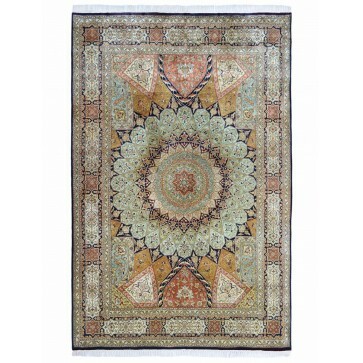 A Heriz design carpet based on a late 19th Century original, with pure silk pile hand woven on a cotton foundation to 256 knots per square inch. 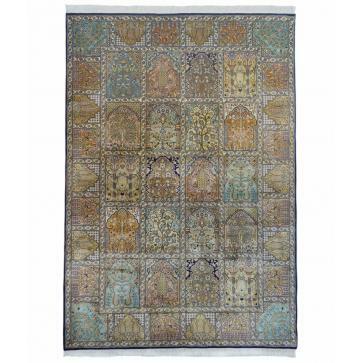 A Heriz design carpet based on a late 19th Century original, with pure silk pile hand woven on a cotton foundation to 256 knots per square inch. 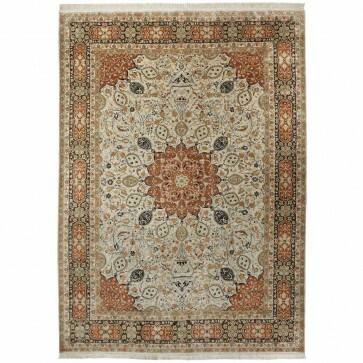 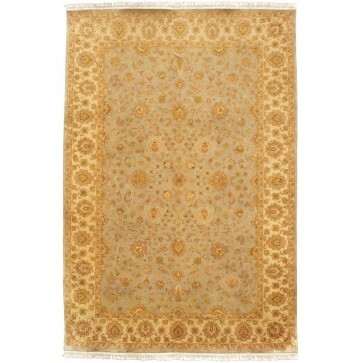 Original Heriz rugs are from the area of Heris in North West Persia and often made in geometric, bold patterns with a large medallion dominating the field. 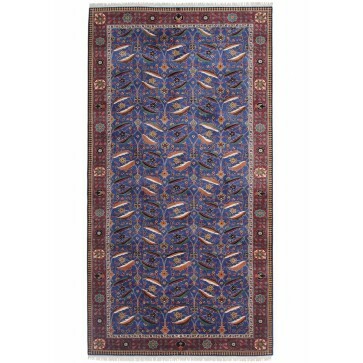 Such designs are traditional and often woven from memory. 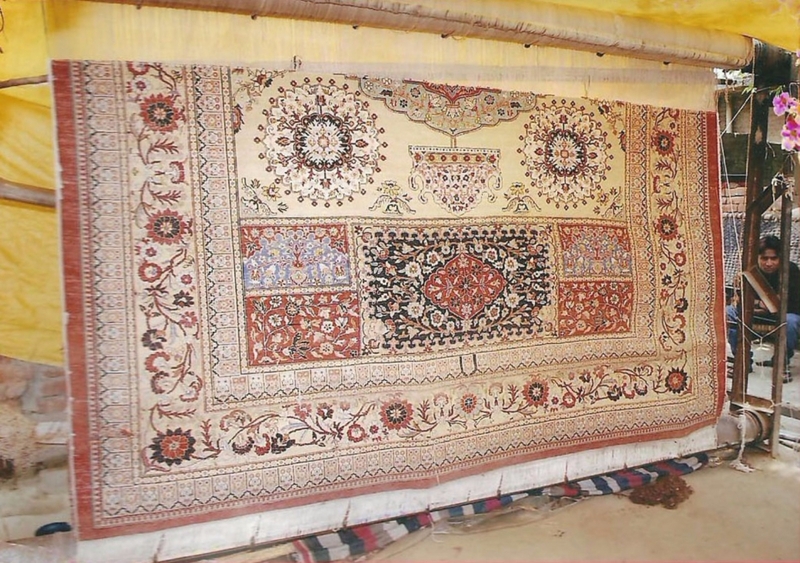 This carpet was woven in Bhadohi, India taking approximately 10 months to design and weave and was photographed on the loom (see additional photos). 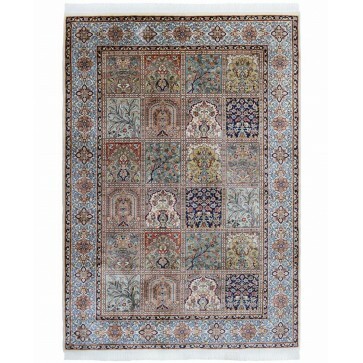 This hand woven carpet has been sourced directly from the weaver to ensure quality of materials and manufacture, and that appropriate human rights are adhered to. 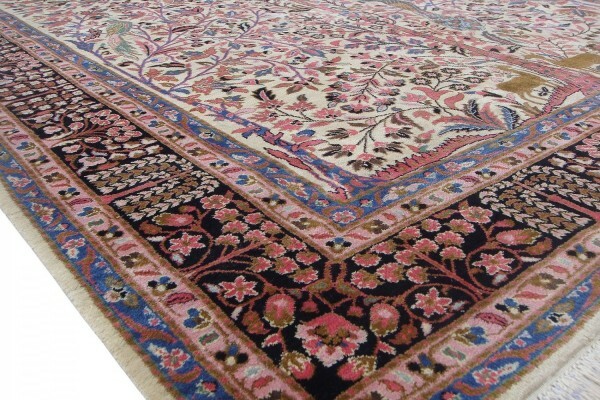 E.E.Brown is a prominent family name in our heritage of trading since the mid 19th Century.